Publication of our magnificent new pictorial book can finally be confirmed for later in 2018. Easily the most comprehensive and informed account ever of the XK 120’s competition activities in the UK and Europe, it not only tells the story of the works and famous-driver cars of the 1950s, but extends into the 1960s and '70s when the XK 120 re-emerged onto the historic scene. It will run to nearly 500 pages and is lavishly illustrated with some 1,200 illustrations – a great many never published before. 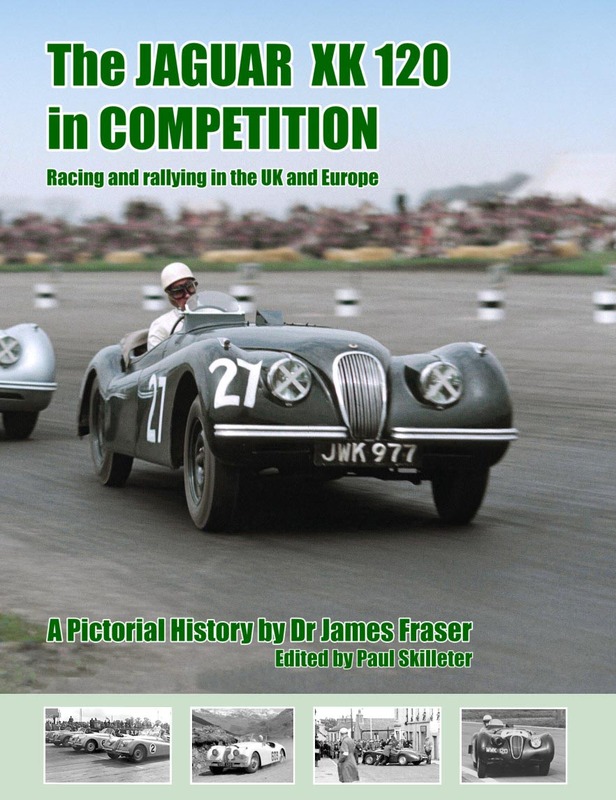 Written by long-term historic XK 120 owner and researcher Dr James Fraser and edited by Paul Skilleter, the book is supported by JD Classics. XK 150 Explored - IN STOCK! The long-awaited third volume in the XK Explored series is available so you can order now! 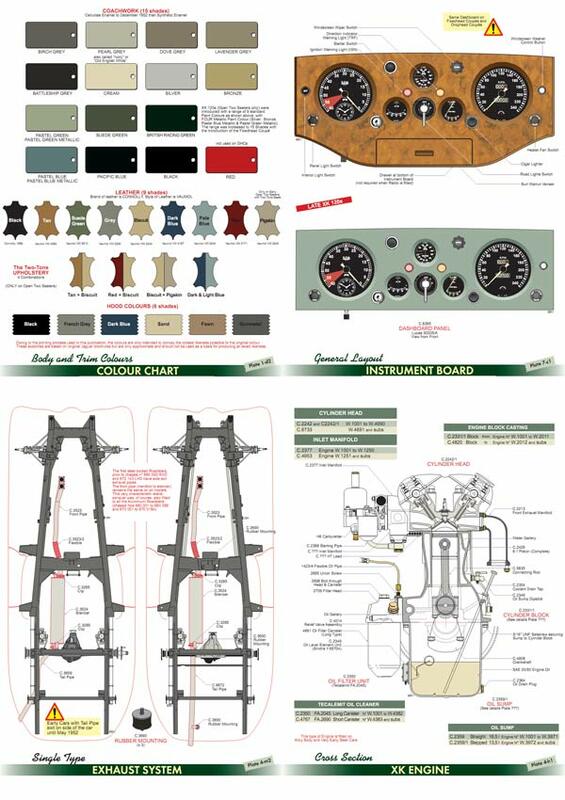 Thousands of perspective exploded colour drawings of the XK 150's body, suspension, interior, wiring, engine etc, plus history, production changes, competition etc. It covers both LHD and RHD cars, and all models including the 'S'. Essential for owners/restorers, this book has taken author/artist Bernard Viart nearly three years to research and compile. Please visit our front page to see sample pages - if you aren't familiar with Viart's books, you will be amazed! 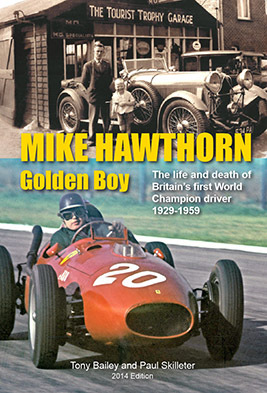 Mike Hawthorn Golden Boy - Softback Edition AVAILABLE and in stock, has been reprinted multiple times! The 2014 softback version of Mike Hawthorn Golden Boy is in 11 Chapters and contains much of the original book plus updates. Those of you who know me through Jaguar topics might be surprised to learn that one of the books I most enjoyed writing was about the Morris Minor. The story behind the car and its creator, the amazing (Sir) Alec Issigonis, is, in fact, almost as interesting as that of Jaguar. Certainly there are a number of parallels with Jaguar, notably the influence of the Citroen ‘traction avant’ of 1934 which inspired both the XK 120’s and the Minor’s front suspension, while Jaguar’s first chief engineer to be, William Heynes, worked pre-war at Rootes while Issigonis was also there. The two engineers also worked together when both came within the British Leyland consortium in the late 1960s. In recent years, however, the book has been out of print, but (after several false starts) this situation is actively being rectified by a fourth edition currently under preparation. This will now take the form of a complete revision, not just a reprint, and will feature updated material and new illustrations. It is being redesigned but will be produced in roughtly the same format as originally. XK 120 Explored by Bernard Viart OUT OF STOCK! 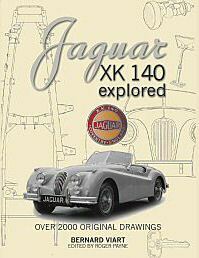 XK 120 Explored is even better than XK 140 Explored, with the already high quality and detail of the drawings improved still further and with 555 pages! The cars are dissected by means of some 2,500 individual drawings in some 400 plates, most in colour, and almost every part, nut, bolt and washer are shown - and, of vital importance, where they are located on the car. These books make it far more practical to buy and restore a disassembled or incomplete XK, because Bernard Viart provides these vital visual references to what every part looks like and where it should go, including all the wiring in colour. 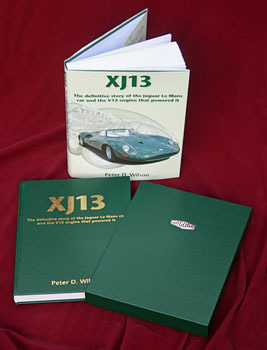 Even if you won't be restoring an XK 120, this book gives a unique analysis of how the XK 120 was made and assembled. In addition to the drawings, conventional chapters provide a full description of the car and its production and competition career, plus special bodied examples. 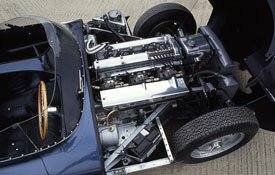 The evolution of the XK engine which powered it is also told in detail. All chapters are profusely illustrated with superb period photographs and literature. Many of these illustrations will be unfamiliar even to the expert. As before, the book will be of the highest quality as regards printing and paper (the latter from accredited sources), and will be available in standard and slip-cased leather bound form (the latter limited to 120 copies only). Both editions are IN STOCK NOW! Visit HERE. An updated and extended reprint of the standard edition is now available. This really quite extraordinary book from Bernard Viart, Edited by Roger Payne, records (in English) every detail of this popular Jaguar sports car of the mid-1950s. The task is accomplished in style through over 300 plates featuring some 2,000+ annotated drawings – probably no other car has ever been covered in such precise detail before. These drawings are augmented by chapters describing the car’s origins, design, construction and competition career. 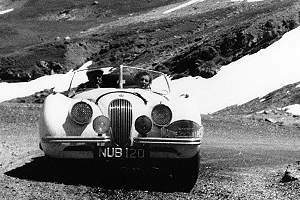 Several hundred period photographs also help tell the story of the XK 140 in this unique and most graphic way. Available NOW in TWO EDITIONS along with full details HERE. The books are IN STOCK. Paul Skilleter Books moves into electronic publishing! While there is no doubt that traditional books of the type we have been publishing for the past five years or so will still be in demand for a long time yet, it is impossible not to ignore the latest technology which allows the reader to download books and read them on a small screen. The most popular of these new devices is the Kindle by Amazon. 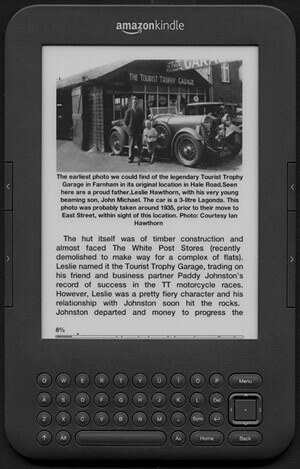 The advantages of e-books are obvious: there is a huge saving in terms of paper and shipping, and the reader does not have to carry a heavy tome around. 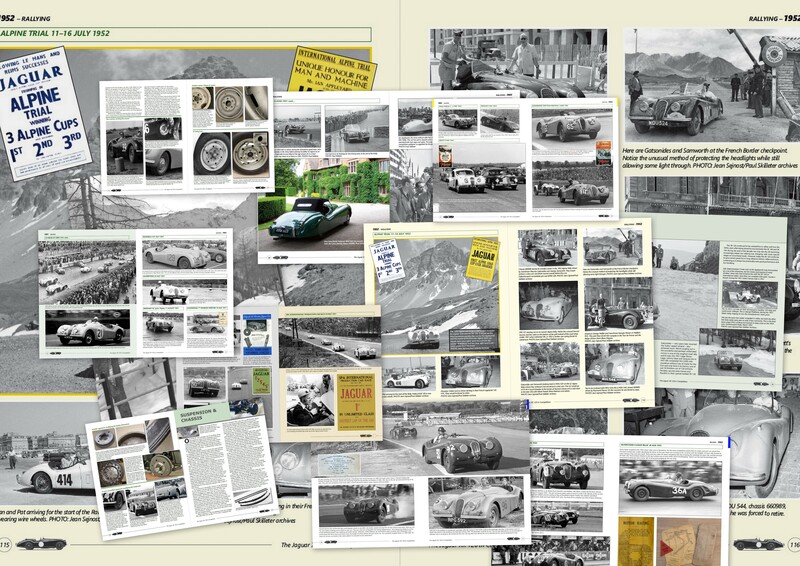 So we are undertaking an experimental foray into e-publishing, beginning with major portions of my long out-of-print Jaguar Saloons book. For the first book, I have chosen from the latter the chapters on 'Pushrod Jaguars', that is, from the SS Jaguar saloons of 1935 through to the end of Mark V sales in 1951. There is increasing interest in these cars, but many people complain that little is available in print on them. This will help fill the void! It is now available - view our catalogue entry! We will announce the availability of e-publications as they are issed, but if meanwhile you would like to be informed directly by e-mail, please let us know. They are very likely to cost you well under under £10 to download. We would also value feedback on whether in general terms you would be interested in buying e-books in the future, should new titles be available in this form. The initial releases for the titles will be via Amazon in a format suitable for the Kindle reader. You can also download free applications from Amazon for the PC and iPhone/iPad etc that can read the Kindle format plus they keep track of the books you have purchased on Amazon. Other formats may follow once the viabiity of this venture is established. 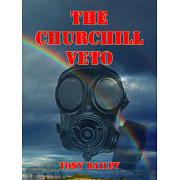 Heading in a completely different direction, Paul handles the publishing of a novel I have written and which is also available in Kindle format! This is not motoring related (although one of the characters drives a Jaguar!) but is a thriller set initially in wartime Britain and moving on to a period some decades later. I happen to be a licensed Radio Amateur and the central character is one also but he makes a decision early in the war that ultimately proves to be a disaster for mankind many years later. It is available in Kindle format! A TV script is currently being written for this book! 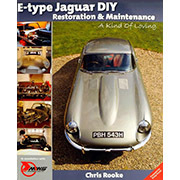 After our popular Lister-Jaguar book (still available) comes a title on E-type in competition. Many hundreds of dramatic period photographs, most from Ferret Fotographics, tell how the E-type first entered motor racing in 1961, and how it was developed into the lightweight E-type of 1963. The account continues into the 1960s when immensely fast wide-wheeled ‘Mod-sports’ E-types did battle with Corvettes, TVRs, and Big Healeys. To be published later - see our website for the latest news. 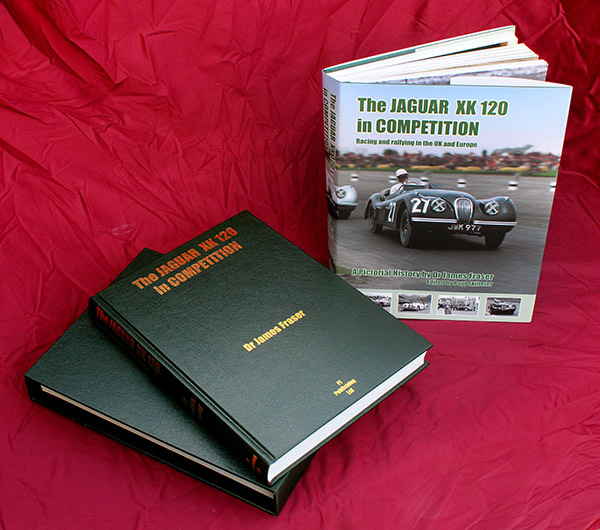 An entirely new range of Jaguar books aimed at the serious enthusiast commenced publication in 2010. The Jaguar Connoisseur Series will tell the story of specific SS and Jaguar models in motor sport through outstanding period photography dating from, in some cases, the 1930s. Compiled by Paul Skilleter with Ted Walker, the series will be built largely on Ted's unmatched Ferret Fotographics negative archive. Ted is selecting the most interesting and significant images from this archive, most never been seen before. These will be presented in a series of large format, extremely high quality, hardbound books which will provide an entirely fresh look at Jaguar. In preparation: The Aluminium XK 120 - a technical and emotional appreciation by Paul Skilleter in conjunction with Terry McGrath. A full account of the original XK 120 which set Europe, America and Australasia alight. With special Owner's Edition of 240 specially-bound copies to be initially reserved for owners of the 240 such cars built. 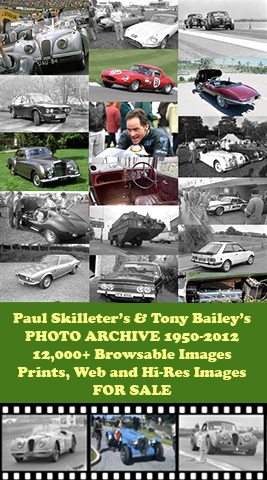 Further details to follow, or lodge your interest now with Paul Skilleter Books (please use our Enquiry Form).